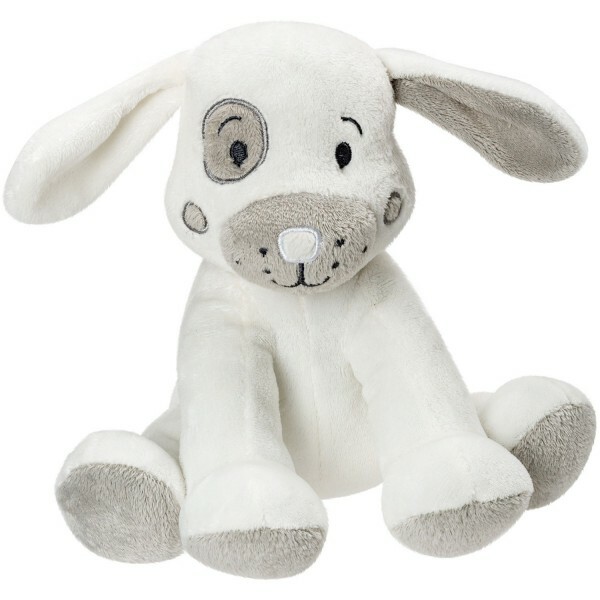 Grey and white Hector Dog is a very soft plush character with gentle rattle to keep Baby entertained. With floppy ears for little hands to grab, he has an adorable grey patch around his eye and a smiley face. From birth upwards, hand wash only, air dry only.